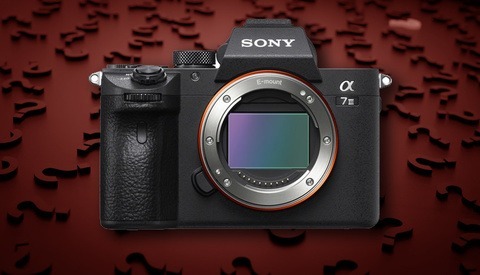 Last year Sony released the a9, the pinnacle of mirrorless camera technology. Since then I have not stopped hearing about this camera. I know I'm late, but I finally got my hands on one, and I was able to play with it for a couple of weeks. How does it compare to my Nikon D850? Let's find out. A DSLR or digital single-lens reflex camera has a mirror that reflects the scene from the lens up into an optical viewfinder. When you take a picture, the mirror flips up, blacking out the viewfinder while it exposes the image. Most point-and-shoot cameras don't have a mirror and may not have a viewfinder at all, but professional Sony mirrorless cameras have digital viewfinders that mimic what is on the screen on the back of the camera. You can choose to use the screen on the back of the camera or use the digital viewfinder if you are in bright lighting conditions. Many photographers prefer mirrorless cameras because the cameras can be physically smaller and they may actually prefer a digital viewfinder. 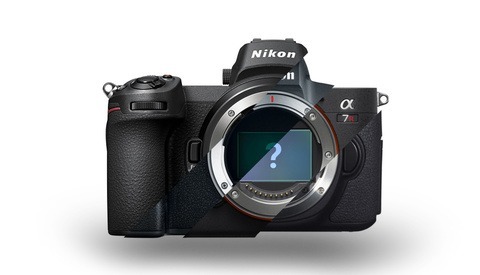 We will talk about the pros and cons of mirrorless cameras as we go through each facet of the a9 camera. The Sony a9 is significantly smaller than any other professional DSLR I've used. Some photographers (who have small hands) will love it while others, like myself, will find it uncomfortably small. Someone pointed out to me that Sony sells a hilarious product to fix this very issue. Maybe I could get used to this over time, but throughout my entire trip, I was constantly upset with how the a9 felt in my hand. The digital viewfinder in the a9 is good, but it's not quite as good as I was expecting. At this point I am accustomed to ultra-high resolution displays on my computers and on my cell phone. The a9's digital viewfinder is sharp but you can definitely still see pixels. If you're used to working with an optical viewfinder, this will take a little getting used to, but it's much better than digital viewfinders of the past, and most photographers these days seem to prefer digital viewfinders. I wasn't able to do any scientific tests with the a9's battery, but I only charged the battery once during my 10 days with the camera. Keep in mind I was only using the camera for a few minutes each day, but this still felt like a major improvement over older Sony cameras I've used. The autofocus on the a9 seemed very similar to my D850. It was fast and accurate but it wasn't magical. I still got the occasional blurry shot and in dark situations, I found the autofocus still hunting for contrast. Apparently, I missed one of the best features on the a9 which is "Eye AF" which can track a human eye and will maintain focus on the front eye of your subject. I'm sorry that I overlooked this feature but I did want to mention it since a9 owners seem to love it. Autofocus while recording video, even in 120 fps, was superb. For the first time ever I was able to rely on a camera to pull focus for me and it was liberating. Because I am shooting more videos than stills these days, this was probably the feature that I was most envious of especially since my Panasonic GH5 cannot autofocus at all in 120 fps. The Sony a9 was created with sports shooters in mind. For that reason, speed was given a priority over megapixels. The a9 has 24 megapixels, which to me is plenty of resolution, especially for something like sports or weddings. I wasn't able to do any side by side tests when it came to image quality, but all of my shots looked great. The files looked very similar to the photos taken with my Nikon cameras but seemed to be lacking that neon red Nikon images tend to have. The a9 is capable of shooting in 4K but in my tests the camera "punched in" and only used the center of the sensor to record because I was shooting in 30fps. Apparently the camera uses the entire sensor if you shoot in 24fps but crops at 30fps. The camera also shoots in 1080p and in that resolution it will not crop the sensor. It also shoots up to 120 fps at 1080p and the footage looks solid. The footage out of the a9 looks great but when you compare the video features side by side with the GH5, I still prefer the GH5. The a9 has 5-axis stabilization built into the sensor. I have to admit, I'm so spoiled by the magical stabilization of my Panasonic GH5 that I didn't really notice that the Sony stabilization was working at all. I'm sure it was working to some degree but it just can't compete with the 5-axis stabilization of the smaller sensor in the GH5. Perhaps the most incredible feature of the a9 is the silent shooting mode. For a camera to do this, it has to digitally turn the sensor on and off rather than using a physical shutter. The technical hurdle where most cameras fail has been with the "rolling shutter" issue. Most full-frame sensors have incredibly slow read rates that produce a rolling shutter in both stills and video since the sensor has to read from top to bottom, one pixel at a time. The a9 has the fastest sensor I have ever tested. I've read online that the digital shutter is equivalent to 1/160 of a second. This actually makes silent shooting a professional option now as it can create flawless looking images without any warping. The incredible speed of the a9 sensor and digital shutter allows the camera to shoot put to 20 frames per second, totally silently, without any blackout. 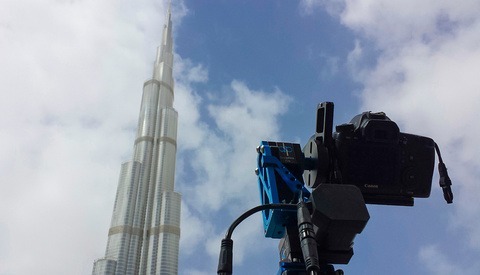 Imagine if you could record video and silently pull 25-megapixel frames from that video without any loss in quality. That's basically what the a9 is capable of doing. I personally never shoot rapid fire like this so the feature isn't of much value to me, but if you shoot sports, animals, or any fast moving subjects, this camera may be the best option for you. Should You Switch to Sony? The short answer: maybe. The Sony a9 is amazing, but it's not better in every way when you compare it to the best that Nikon and Canon have to offer. It's just different. There is one feature, however, that stands out to me that is significantly better: the silent shooting mode. If you shoot on a movie set and you're currently using a sound blimp to reduce noise, sell your gear and buy the a9 today. I'm not sure any camera on the market can compete with the a9 in this arena. But for everyone else, even sports shooters, the a9 is pretty equivalent to other cameras on the market. Maybe it's a little faster but the battery life is a little worse. Maybe it has no blackout shooting but it's uncomfortable to hold. You should test it out for yourself and decide which camera is right for you before buying this new camera. Just a few years ago I didn't think that Sony cameras were as good as top of the line DSLRs, but I did say that I thought they would be the future and the future is here. At this point, Sony has created technology that is equivalent if not better than top of the line DSLRs. Today, I'm still very happy with my Nikon D850 and my Panasonic GH5 but if Sony keeps improving, even I might be making the switch to Sony in the near future. Good stuff. Sealed the deal for me - not switching either. I am curious though to know what kit you'd would be carrying with you on a holiday for those quick, fun and decent quality snap shots? I've searched high and low and can't seem to land on a good overall (weight, size and quality vs cash) camera+glass that will allow me the holiday snaps and make ok'ish video.Closes I got was the Sony a6500, but the choice of glass was not impressive. HELP!